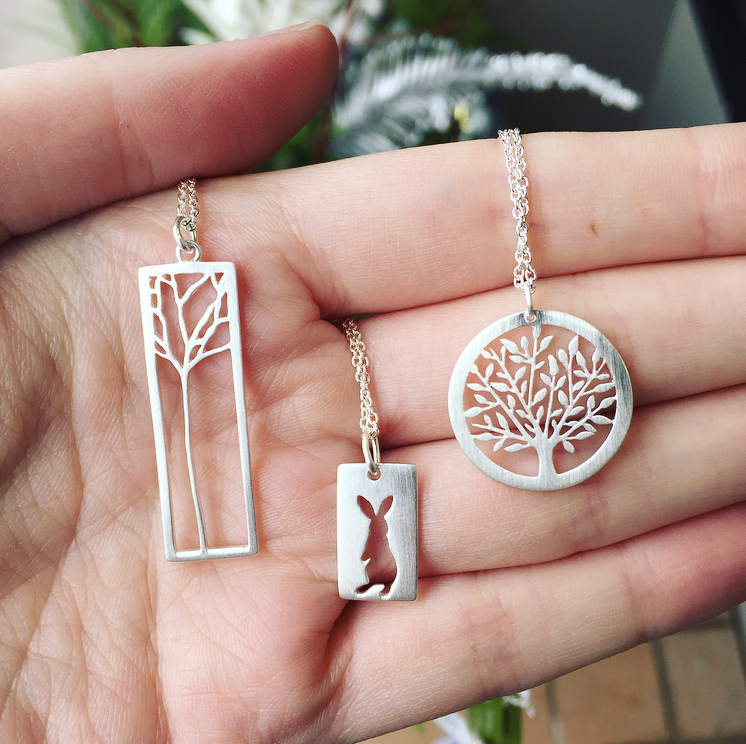 Our Tashi case is completely full right now so we decided to show you some of what we currently have in stock! 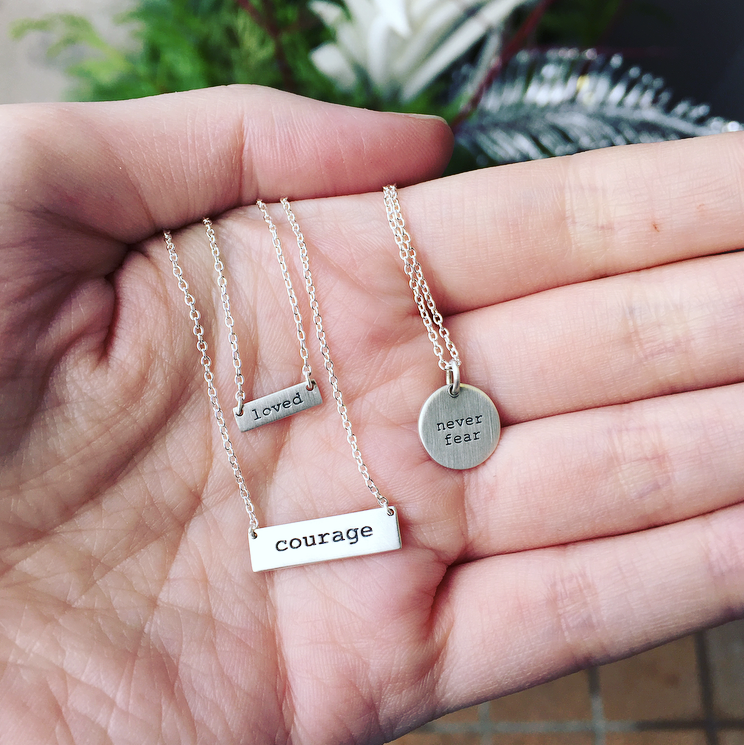 Tashi is a great choice for the person who likes more delicate, meaningful jewellery. 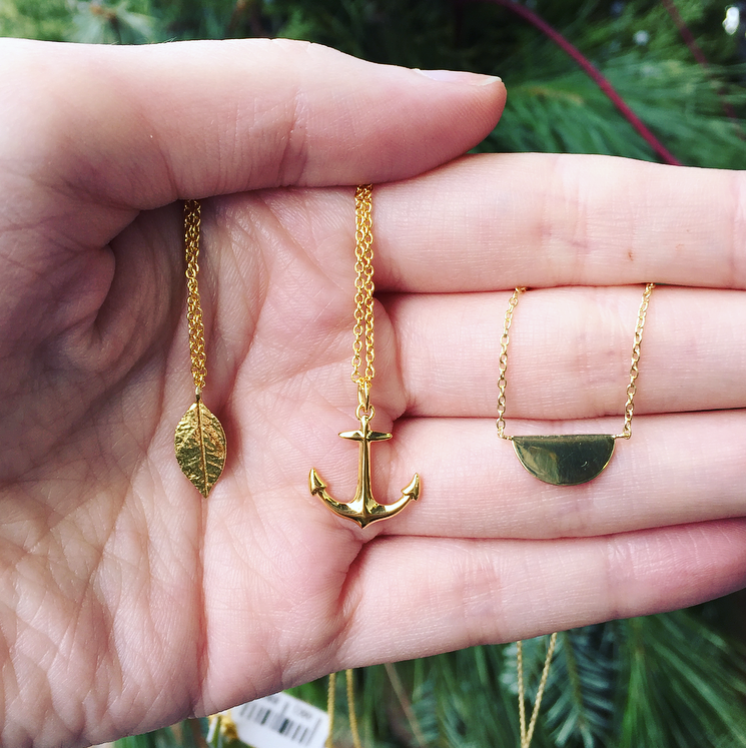 Tashi uses images found in nature, as well as geometric and classic symbols like hearts, anchors, and wishbones. We have a TON of studs right now including ear climbers, and ear jackets. 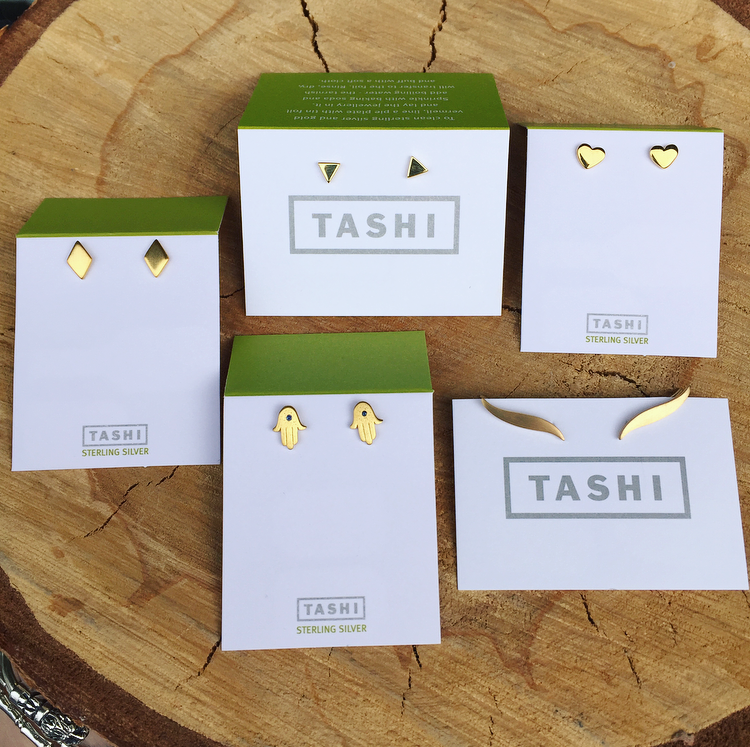 Tashi's gold pieces are sterling silver with a strong 14k gold vermeil coating. That's just the beginning! Come for a visit to see the rest!